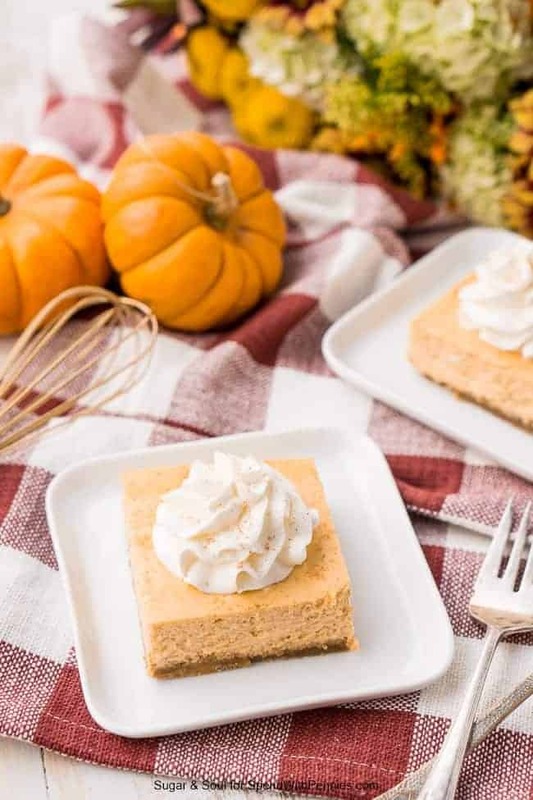 These Pumpkin Cheesecake Bars with Amaretto combine the rich fall flavors of pumpkin and almonds laced throughout a rich cheesecake over a sweet graham cracker crust. Well, now that Fall is officially here according to the calendar, I guess there’s no sense in denying it anymore, and it’s time to move on from Banana Split Poke Cakes and onto all the deliciousness that is fall flavors! And by fall flavors I’m talking about apples, cinnamon, chai, pumpkin, and nuts, and I’m sure there’s many many more. Oh, like sweet potato, sweet potato desserts are the best! I’m not kidding, so so good! 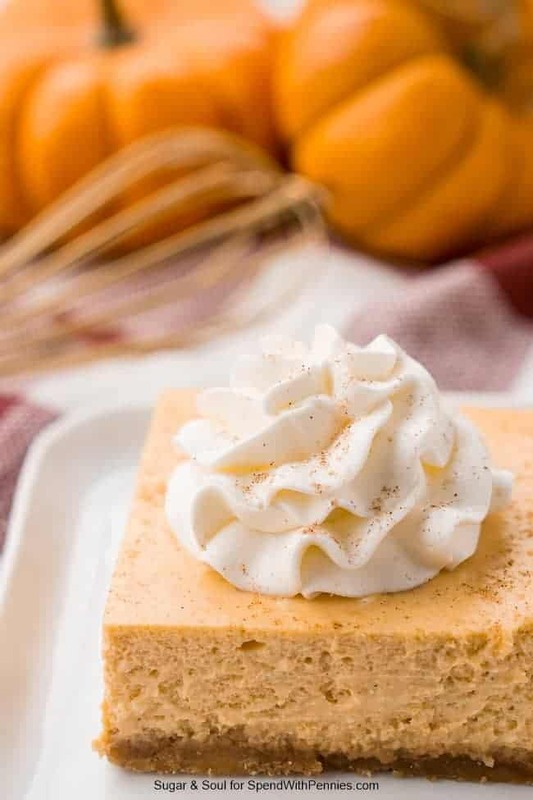 Well, these Pumpkin Cheesecake Bars with Amaretto are loaded with fall flavor. 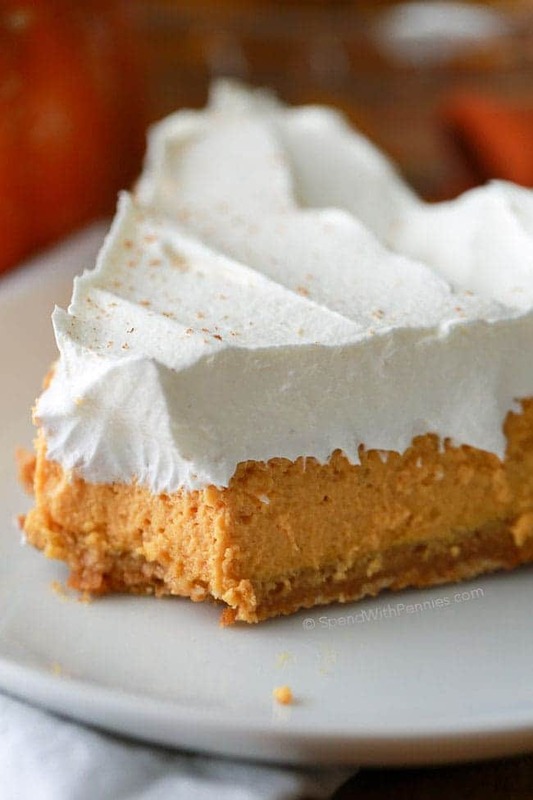 A lot of pumpkin, a little almond, and a touch of cinnamon on top of a buttery graham cracker crust and topped with a dollop of whipped cream. Oh, and of course, a whole lot of cream cheese! Even cheesecake haters will love these delightfully easy pumpkin bars! I know because I’m one of them! 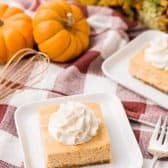 Why Make Pumpkin Cheesecake Bars? I know there are a million pumpkin recipes out there, so you’re wondering why you should choose this one? Well, first of all, these pumpkin cheesecake bars are easy to make. The prep work is minimal and most of the recipe time is for cooling and chilling. So sure, you have to stick around the house a bit, but there’s no reason you can’t squeeze in a few episodes of Gilmore Girls while you wait for these easy pumpkin bars to set. Second, I love that these pumpkin cheesecake bars with amaretto are neither overly pumpkiny or creamy cheesy. The amaretto and almond extract help to really balance these two rich flavors. 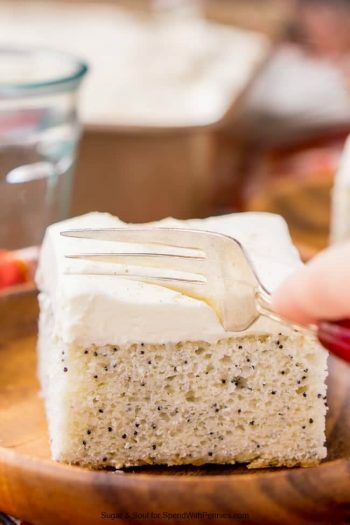 A touch of spices brings it right over the edge into the cozy territory and the whipped cream is a smooth soft finish to what might otherwise be a heavy dessert. 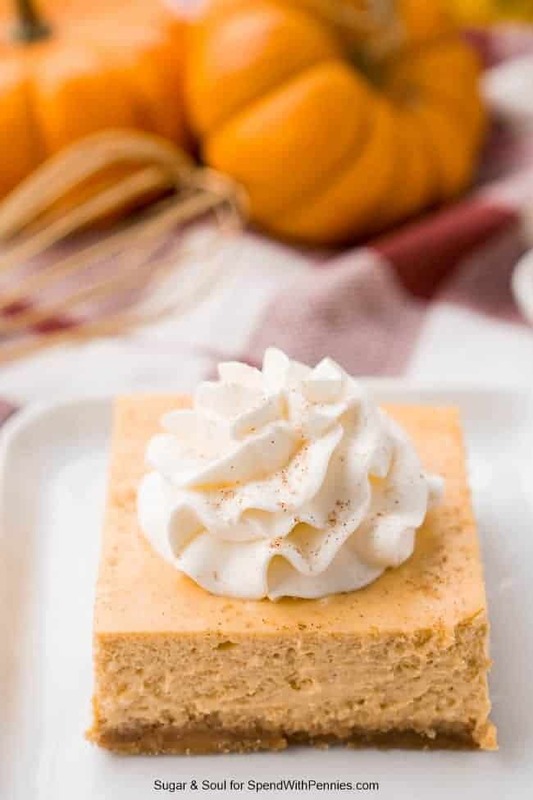 Lastly, as opposed to a traditional cheesecake, these pumpkin cheesecake bars don’t require a water bath and still bake up with a perfectly even top layer (no cracking here), and since they’re made in a 9×13-inch pan, they’re easy enough to slice up and serve at a party! 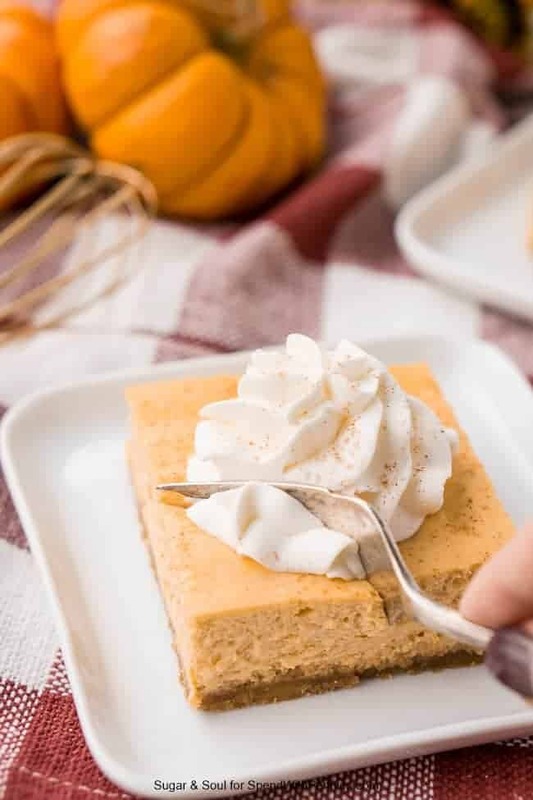 These Pumpkin Amaretto Cheesecake Bars combine the rich fall flavors of pumpkin and almonds laced throughout a rich cheesecake over a sweet graham cracker crust. Preheat oven to 300 degrees F and line a 9 x 13-inch pan with parchment paper, allowing the excess to come up and over the sides of the pan. In a large bowl, melt the butter in the microwave. Remove from the microwave and stir in the remaining crust ingredients, mixing until evenly blended. Pour crust mixture into the prepared pan and evenly press into the bottom of the pan with your hands. Bake the crust for 12 minutes. While the crust is baking, add the cream cheese to a large bowl or stand mixer fitted with a whisk attachment and beat on medium speed until smooth. 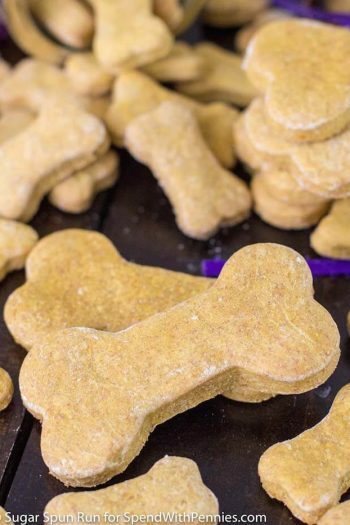 Mix in the pumpkin, brown sugar, flour, extracts, and spices and beat on medium-high for about 1-minute until fully combined, make sure to scrape down the sides of the bowl as necessary. Beat in the eggs one at a time, mixing just until combined between each addition. The mixture should be smooth. Pour filling mixture over the baked crust and return to the oven for 30 to 35 minutes. Remove from oven and place on a wire rack to cool for 2 hours, then transfer to the fridge to cool for at least another 2 hours or overnight. 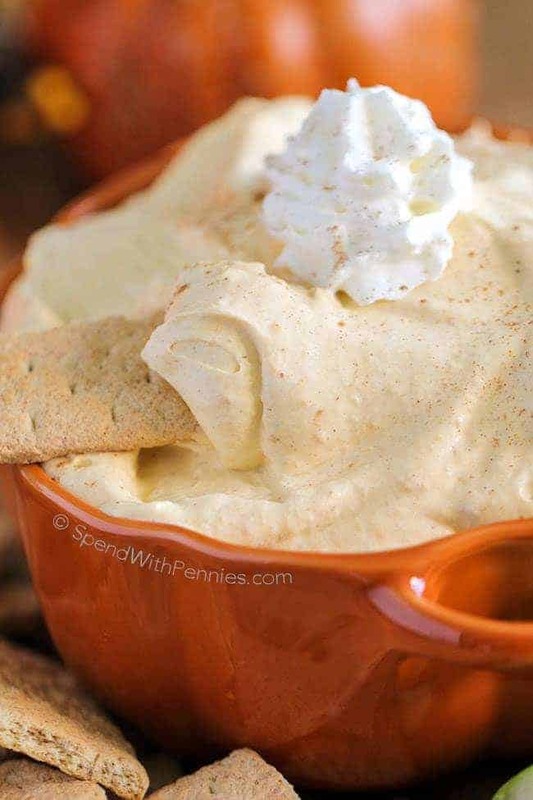 When ready to serve, make and top with whipped cream and a sprinkle of cinnamon sugar. Chill bowl and beater attachments (whisk) in the freezer for 10-15 minutes. Remove from freezer and add cream and vanilla to the bowl, place sugar close by. Begin beating/stirring on low for about 2 minutes until you get a nice foam going. Increase the speed to medium. Add the sugar a tbsp at a time at the 3, 4, 5-minute marks. If using a stand mixer, scrape down sides of the bowl at the 4-minute mark. Beat for one to two minute after the last addition of sugar or until soft peaks form. Do not over beat, we're making whipped cream, not butter here. 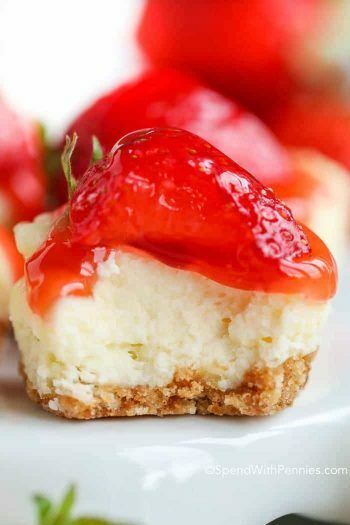 Top your desserts and drinks with it and enjoy! Store covered in the fridge for up to two hours. I’m Rebecca, and Sugar & Soul is where I blend my traditional roots and millennial imagination. I’m a self taught baker, photographer and traveler with a business degree and a dream. I’m married to my high school sweetheart, Matt, and currently reside in Central Maine. I’m so glad you stopped in and I hope I can inspire you to bake a batch of cookies or head off on a new adventure!